Adrian Thaws - FACT Magazine: Music News, New Music. 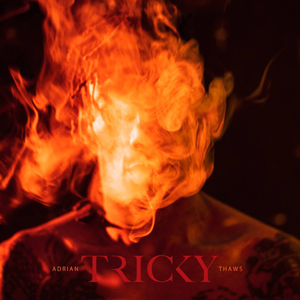 Why am I telling you this story now, when I’m supposed to be reviewing Tricky’s tenth album, Adrian Thaws? Well, it’s a way of explaining that Tricky’s albums live and die on the strength of his collaborators: their aptitude for taking this naïve, unstable but undoubtedly unique vision and translating it into sound. 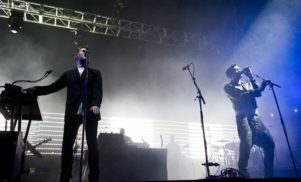 After a spectacular average in the ‘90s, Tricky’s recent run of records – beginning with 2008 comeback album Knowle West Boy – have felt decidedly patchy. And while Adrian Thaws lines up an interesting role call – rappers Blue Daisy, Mykki Blanco and Bella Gotti (formerly, grime emcee No Lay), plus Micachu collaborator Tirzah and a breathy Martina Topley-Bird-a-like named Francesca Belmonte – it suffers from the same issues that have blighted his last few: directionless genre-hopping, unimaginative productions, and a general absence of Tricky himself. Elsewhere, it’s a story of misfiring ideas and botched experiments. ‘Lonnie Listen’ lines up cheap keyboards, unpleasant guitar licks and Mykki Blanco rapping “Why don’t you befriend me/On Facebook?” ‘Silly Games’ is a lightweight reggae lope that could be a Lily Allen B-side, while “I Had A Dream” takes a mid-album swerve into cocktail jazz. Bella Gotti leads on two tracks, ‘Gangster Chronicle’ and ‘Why Don’t You’ – hurt and vengeful tales of gangster life and black British experience that land like a flurry of fists. Fine, but it’s hard to glean what they’re doing here, exactly. 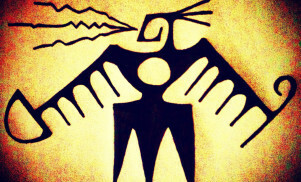 Of course, Tricky has always spoken through his collaborators – one of the great pleasures of Maxinquaye and Pre-Millennium Tension was the way his sinister, perverse words felt spilling from Topley-Bird’s mouth. But with all these voices clamouring for attention, it’s hard to get used to the idea that any one in particular is his vessel. Probably my favourite track here is a skit, ‘Unloved’, on which an unidentified black British voice speaks mournfully of late friends and dreams of positive revolution. It ends after just a minute, which feels like a shame, as it achieves both the unsettling atmosphere and raw human experience that are hallmarks of Tricky at his best. But then, being a fan of Tricky has long been a frustrating experience; the sense of hanging on a unique voice that can’t quite get a sense of itself. I won’t claim to know the answer, but I live in hope that one day Adrian Thaws will one day again make an album worthy of his name.